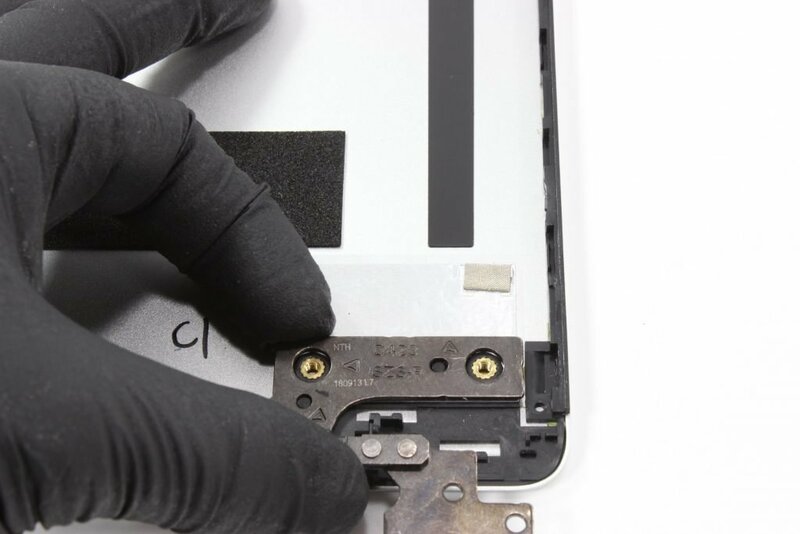 Remove 12 screws from the bottom cover. 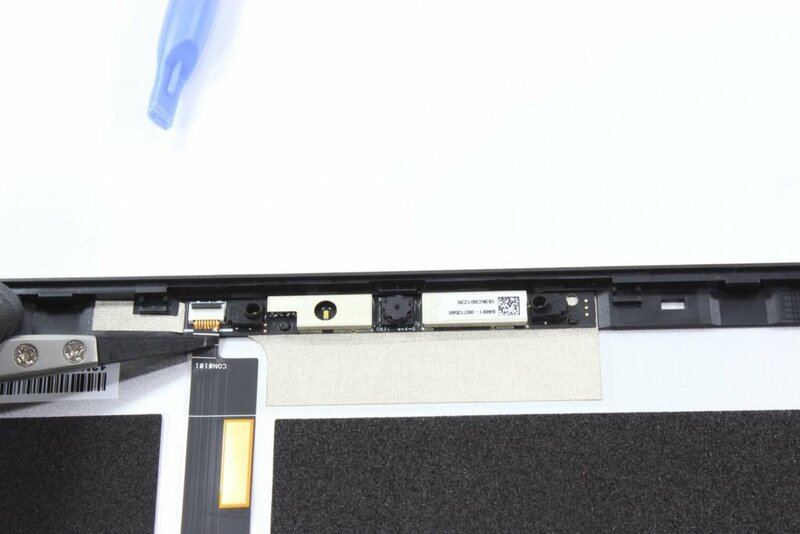 Note that 1 screws are under the rubber feet. Push the plastic spudger into the space between the palmrest and bottom cover. Push in until you hear a click. Run the spudger around the edge of the palmrest until the palmrest and the bottom cover are separated. Before removing any internal parts you will have to disconnect the cables that attach them to the other parts. The next few steps will detail this process. 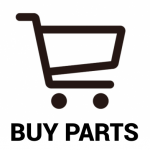 Place the plastic spudger and push the metal tab in the opposite direction of the motherboard. Place the plastic spudger under the cable connector and gently push up. Place the plastic spudger under the tabs and gently push up. 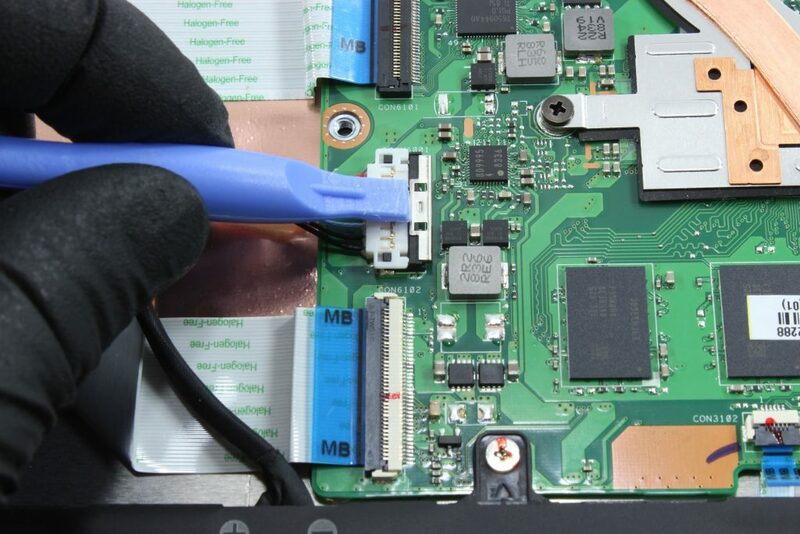 Use the tweezers to pull the cables away from the motherboard. Use the tweezers to pull the tape off of the connector. 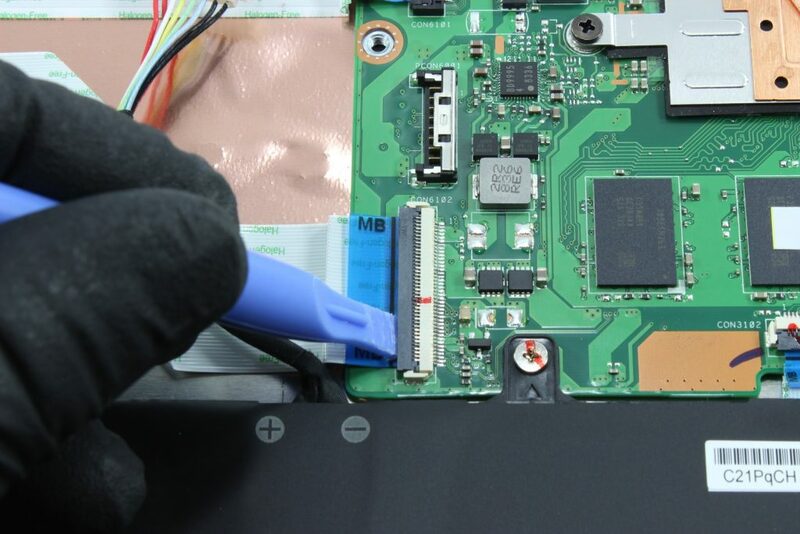 Use the tweezers to pull the LCD cables away from the motherboard. Place the plastic spudger under the tab and gently push up. 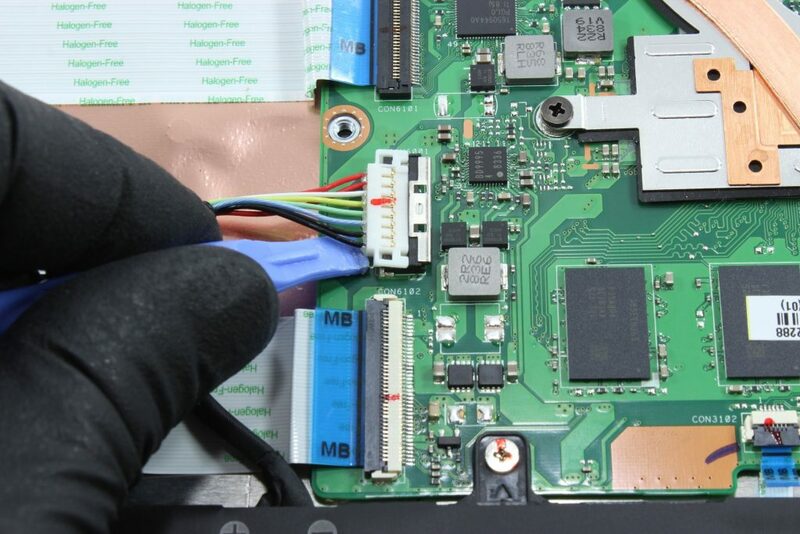 Use the tweezers to pull the cable up and away from the motherboard. Push on the sides of the connector with the plastic spudger to separate the speaker cable from the motherboard. Use the tweezers to gently pull the cables up from the Wi-Fi connector. Now that all of the cables are disconnected the computer can be disassembled. 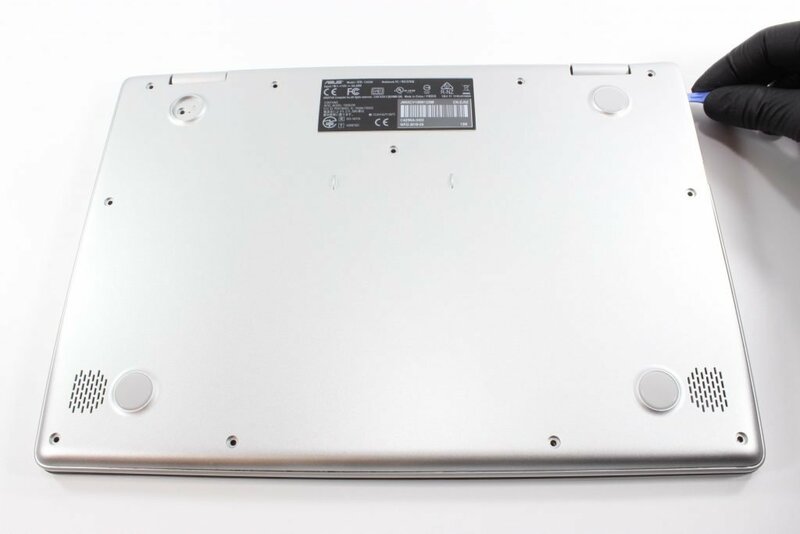 Remove 17 screws from the inside of the Chromebook. 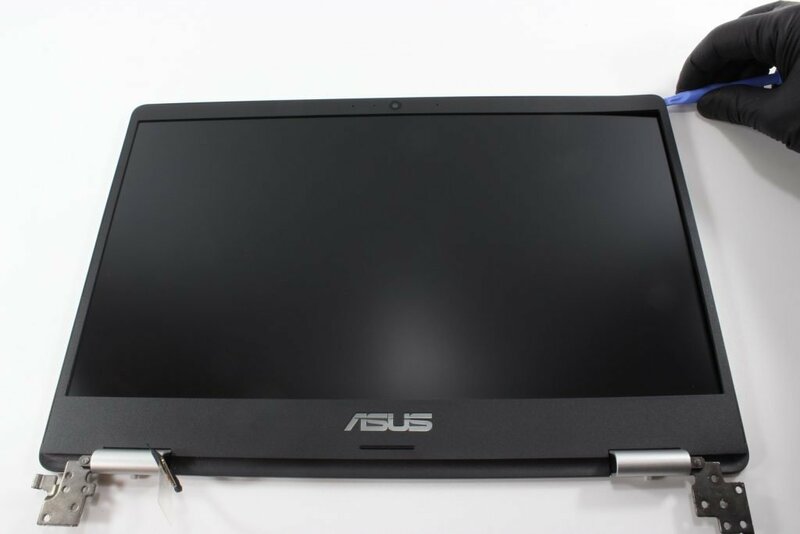 Use your hands to gently push the palmrest up about two inches from the rest of the computer so that the hinges don’t obstruct the removal of other parts. 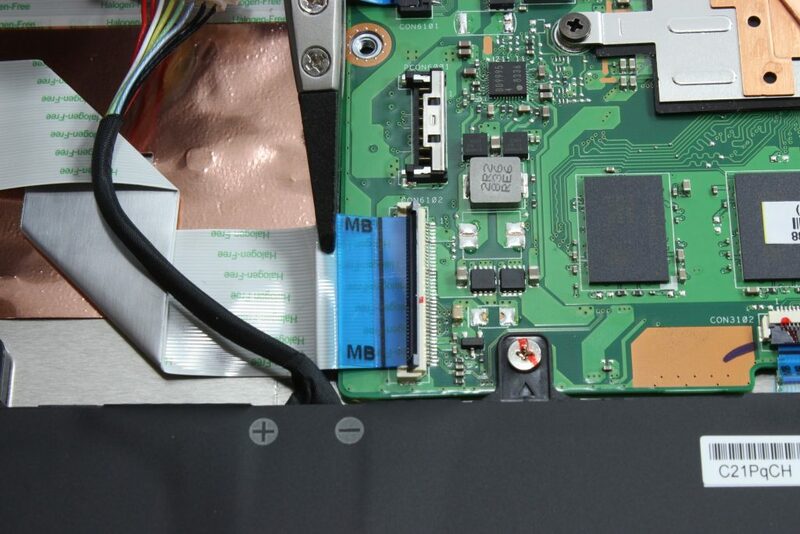 Use your hands to gently pull the daughterboard, motherboard, and battery out of the bottom cover off of the palmrest. 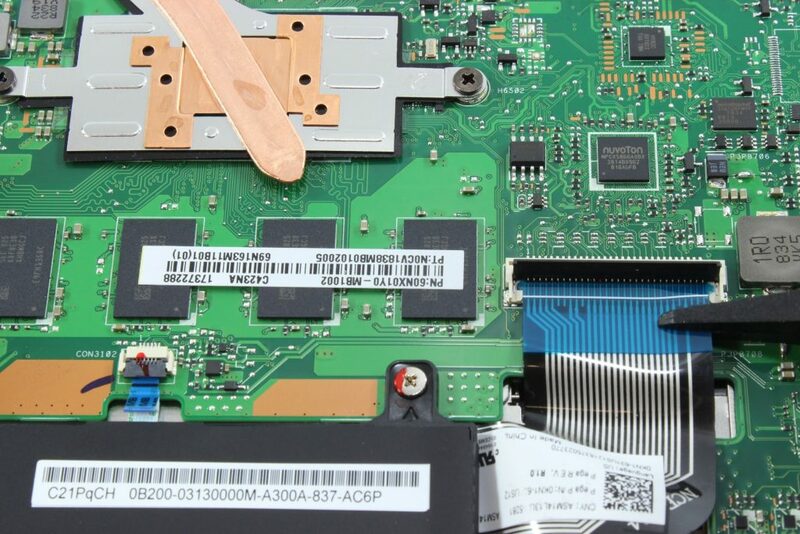 To remove the WiFi card from the motherboard, gently pull it away from the motherboard. Use the plastic spudger to separate the speakers from the bottom cover, then remove them. 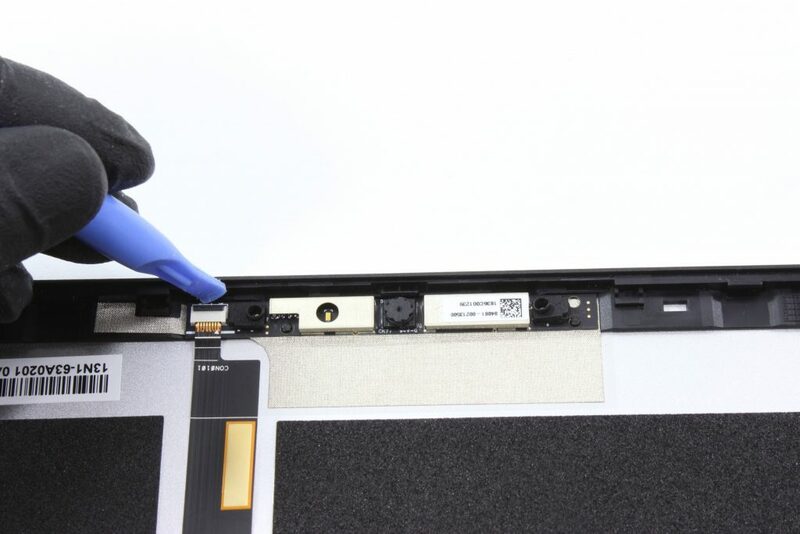 Remove 3 screws from around the edge of the touchpad. 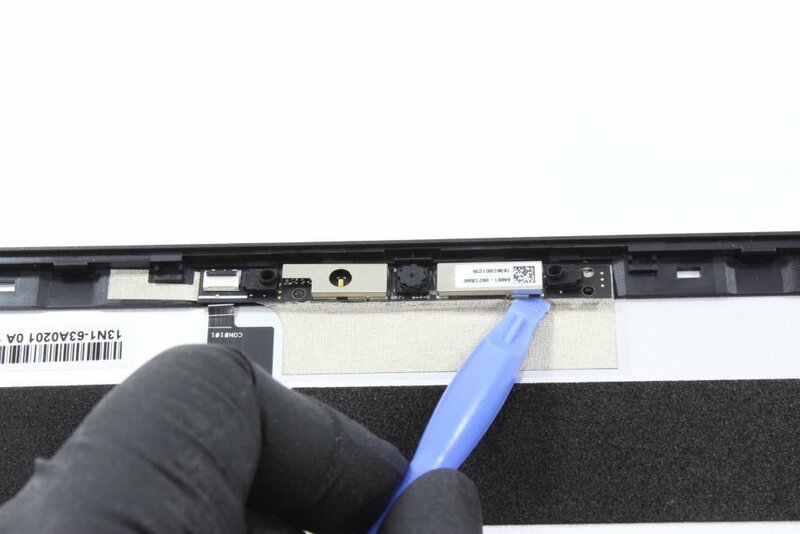 Carefully remove the tape stuck to the touchpad. Gently use the plastic spudger to separate the touchpad from the palmrest. 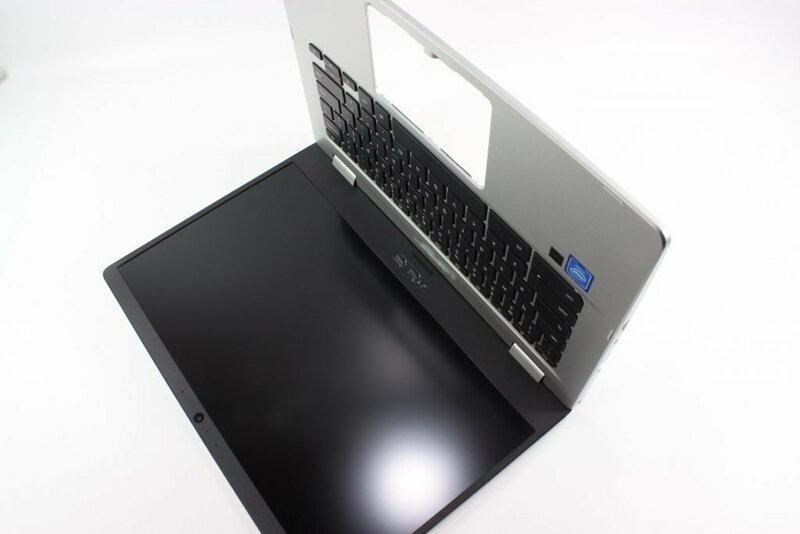 Open the Chromebook to 90° and flip it so that it’s laying on the LCD back cover as pictured. Gently push the plastic spudger into the gap between the back cover and the hinge covers until they separate. Press a spudger into the space between the bezel and back cover until you hear a click, then run the spudger around the edge of the bezel until the bezel and the back cover are separated. 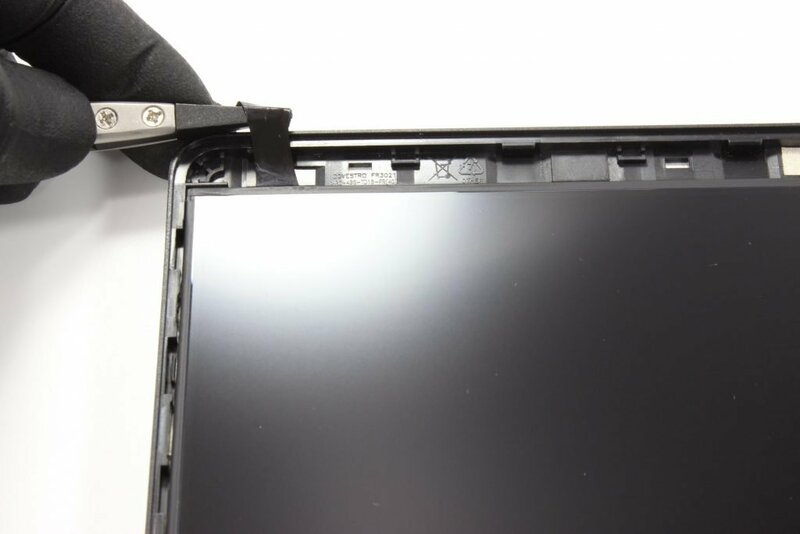 Use the tweezers to pull the tape off from under the LCD panel on each side. 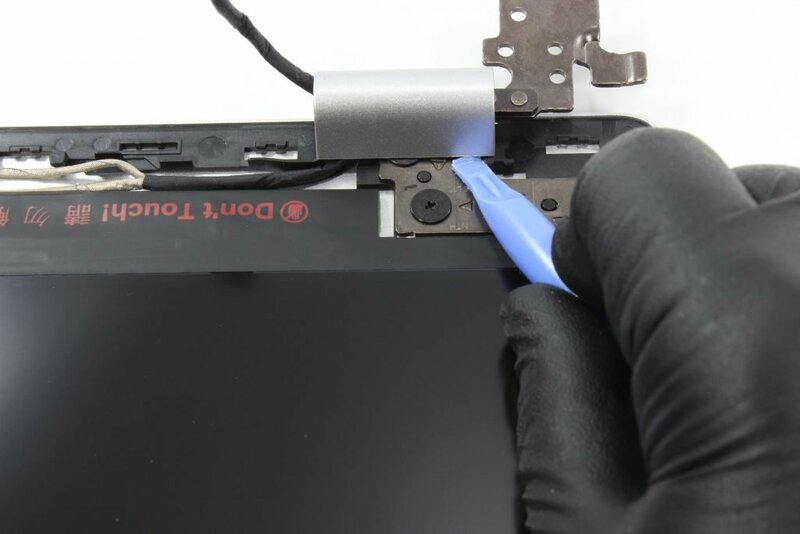 Use the tweezers to pull the tape off of the connector on the back of the LCD. Use the tweezers to pull the cable out of the connector. 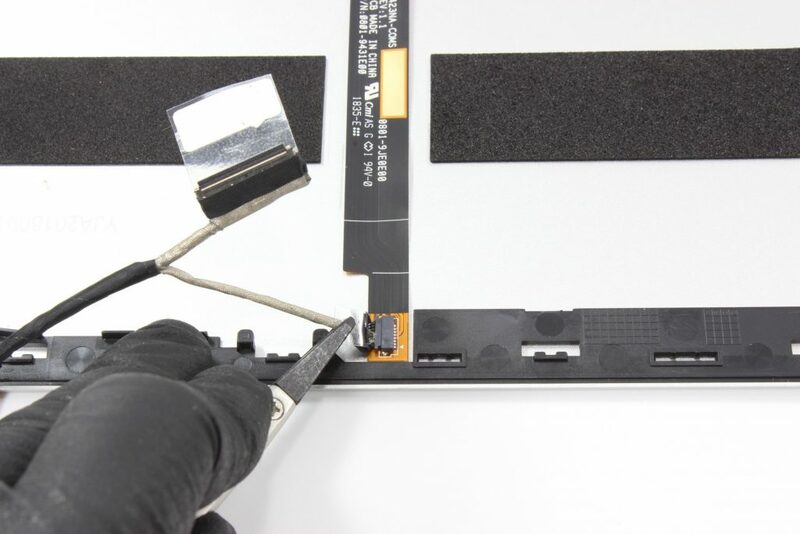 Use the tweezers to pull the LCD cable up and away from the back cover. Remove 3 screws from around the hinges. Gently use the plastic spudger to separate the hinges from the back cover. After they are detached, use your hands to pull the hinges away from the bottom cover. 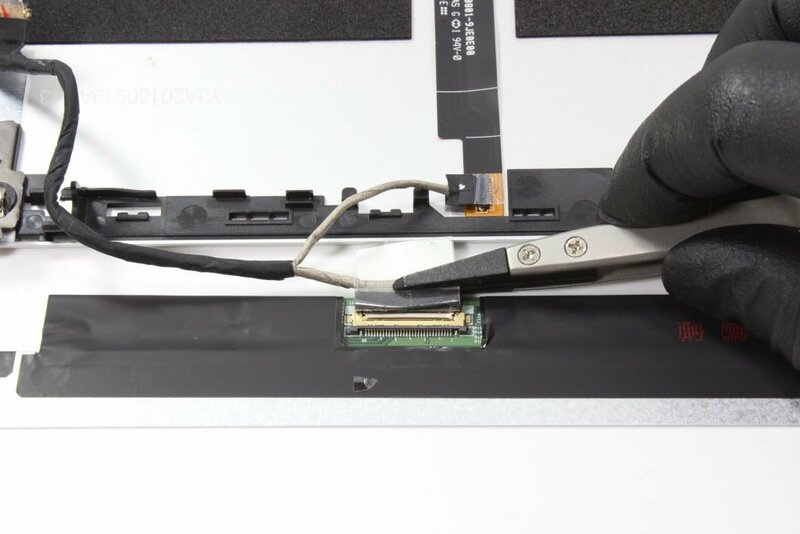 Use the tweezers to pull the cable up and away from the camera board. Gently push the plastic spudger into the gap between the back cover and the camera. Push up very slowly on both sides of the camera until they separate from the back cover. To remove the cable from the camera, use your hand to carefully pull the cable away from the camera.